When they have finished their testimony (they have an allotted number of days to prophesy – 1260), the beast that rises from the bottomless pit (an allusion to the resurrected antichrist) will conquor them and kill them – this indicates they have mortal bodies that can die. This is a very interesting observation since many scholars identify them as resurrected Old Testament saints (Moses and Elijah). Perhaps in this one instance, God raises these two back to mortality instead of immortality? Their dead bodies will lie in the street for a period of 3.5 days, while people look on and celebrate with parties and the exchange of presents over their deaths. This is the only instance of celebrations on earth recorded in the book of Revelation. After 3.5 days, the breath of life enters their bodies as they are resurrected from the dead, likely to immortality (signalled perhaps by the release of energy in the form of an earthquake). God calls them to “Come Up Here”, and they are taken into heaven. Two present-age Jews/Hebrews, raised up to be the Two Witnesses (much as John the Baptist functioned as a “type” of Elijah). The difficulty here is that their ministry presumably begins immediately after the Church Age ends at the rapture. But if they aren’t raptured, then they weren’t followers of Christ (as there is no “partial rapture”). So how would they know all things in Christ to be able to proclaim them immediately? Even Paul was taught by Jesus himself (through visions and excursions to the Third Heaven) and the other apostles over a period of a few years before he began his full time ministry. It’s possible that God would impart supernatural knowledge to them, but I would probably rule this out as a viable option. Enoch and Elijah, both of whom never experienced natural deaths but were “raptured” alive to heaven. Presumably, they were not given resurrection bodies at that time, or they would have preceded Jesus in glorified bodies (which is impossible as Jesus was the firstfruits of the first Resurrection). So what exactly happened with their bodies is unclear. These two as an option might have some validity given that the two witnesses are physically killed on earth when their ministry is over, so perhaps God is supernaturally sparing their physical bodies exactly for this time and purpose. Enoch is from pre-Abrahamic days, and Elijah is from the Abrahamic covenant. Moses and Elijah, based on the similarity of the signs and wonders performed by these two witnesses and the earthly ministry of these two prophets. Moses, in his previous earthly ministry, was used by God to turn waters into blood and 9 other earthly plagues. Elijah, in his previous earthly ministry, was given power to shut the sky and proclaim drought. While Moses died, he did so in good health at a time appointed by God. Moses was then buried by God in a hidden location, as satan was attempting to steal his body. Elijah was “raptured” alive to heaven. Also notable is that these two appeared with Jesus on the mount of transfiguration, likely representing the Law and the Prophets. Finally, note that both Moses and Elijah are from the Abrahamic covenant, which God will bring to completion during the 70th week of Daniel (“7 year tribulation”). I am personally inclined to believe that one of the two witnesses will be Elijah, most likely accompanied by Moses. The strongest indication for Elijah being one of the witnesses, no matter who he is accompanied by, is based on a passage in Malachi 4:5-6 –“Behold, I will send you Elijah the prophet before the great and awesome day of the Lord comes. And he will turn the hearts of fathers to their children and the hearts of children to their fathers, lest I come and strike the land with a decree of utter destruction.” (ESV) Orthodox Jews still set a place at the table for Elijah each Passover in anticipation of his future reappearing. At the transfiguration event, the disciples ask: And the disciples asked him, “Then why do the scribes say that first Elijah must come?” He answered, “Elijah does come, and he will restore all things. But I tell you that Elijah has already come, and they did not recognize him, but did to him whatever they pleased. So also the Son of Man will certainly suffer at their hands.” Then the disciples understood that he was speaking to them of John the Baptist. (Matthew 19:10-13 ESV) Note that Jesus seems to indicate that Elijah will indeed still come at some point, but that a shadow of this has already been fulfilled through John the Baptist. While John the Baptist was a “type” of Elijah, he was in no way connected to the great and awesome Day of the Lord, which is still future. Zerubbabel and Joshua. Peter Goodgame, in his book Red Moon Rising, makes a very interesting observation. Both Zerubbabel and Joshua featured highly in the rebuilding of the second temple. Goodgame suspects they will be involved in rebuilding of the third temple. In Haggai 2:20-23, the prophet predicts that God will take Zerubabbel and make him “as a signet”, His representative, after He does something else – “I will shake the heavens and the earth; And I will overthrow the throne of kingdoms, and I will destroy the strength of the kingdoms of the heathen; and I will overthrow the chariots, and those that ride in them; and the horses and their riders shall come down, every one by the sword of his brother” (2:21-22 ESV). Joshua comes in when we read the book of Zechariah. In chapter 3, Zechariah’s vision focuses on Joshua as a high priest, standing before the Lord at the time of his judgment. We see a beautiful picture of Joshua’s filthy garments (sin) being replaced with clean garments (the righteousness of Christ). We then are introduced to a new vision in Zechariah chapter 4, in which Zechariah sees two olive trees standing beside a lampstand. The angel explains that the olive trees are “the two anointed ones who stand by the Lord of the whole earth.” (4:14 ESV) I believe Goodgame makes an interesting observation here about the possible future significance of Zerubbabel and Joshua, and I will provide a link to his study for further reading. He suggests that the 2 Witnesses of Revelation 11 are Joshua and Zerubbabel. However, I am personally inclined to believe that Zerubbabel and Joshua might feature in the Millennial Kingdom temple instead of the Tribulation Temple based on Haggai 2:21. I have previously studied the shaking of the earth and the shaking of the heavens, and while the earth is shaken at both the time of the rapture and the Second Coming of Christ, the heavens are only shaken at the Second Coming – which is what Haggai 2 seems to be describing. The rest of the vision in Zechariah 4 also strongly suggests the timing as the END of the Day of the Lord, when Jesus overthrows the kingdoms of the earth and makes them as His footstool. This passage seems to be describing the Battle of Armageddon, at the Second Coming of Christ. For this reason, I believe that Joshua and Zerubabbel perhaps play important roles in the Millennial Kingdom. The two witnesses will fearlessly proclaim God’s judgment and the need for repentance – that the Kingdom of God is finally, truly, near! I find it interesting that the 2 Witnesses are called “witnesses”, rather than “Prophets”. One of my fellow watchmen asked the question – What are the witnesses, witness to? And that is a fantastic question! The word “witnesses” in Revelation is martysin (Strong’s Greek 3144), and is defined as a witness; an eye- or ear-witness. When we look up in scripture where that word is used elsewhere, we find that it refers to those who have seen the mighty works of God through Jesus, including His resurrection, and will testify that Jesus is the one appointed by God to be the Judge of the living and the dead. In scripture it also teaches that evidence is to be brought forward by two or three witnesses. From what I could gather, it seems that the 2 witnesses will testify of the authenticity of Jesus Christ both as Savior (Messiah) and Lord (Judge). They will also likely bear witness to God’s covenant relationship with Israel. Since Jesus is the ultimate fulfillment of the Law and the Prophets, I think this lends support to the view that Moses and Elijah are the most likely candidates. It appears that once a covenant of some type is strengthened with Israel, this will kickstart the 70th week of Daniel. Two Witnesses would presumably appear at this time, and are given authority by God to perform their ministry for the first 1260 days. This ministry likely includes the overseeing of the building of the Third Temple, instructing the 144,000 sealed Hebrews (perhaps leading them to Christ), as well as preaching and teaching Jews in general. Meanwhile, the Beast will be rising to power behind the scenes. We aren’t told what satan’s deception is, but the Beast may be proclaiming to be the Jewish Messiah? I picture the 2 witnesses preaching righteousness (Repent, for the Kingdom of Heaven is Near! ), which angers the world. However, no one can kill the 2 witnesses, remember? The 2 witnesses receive supernatural power from God such that “if anyone would harm them, fire pours from their mouth and consumes their foes. If anyone would harm them, this is how he is doomed to be killed.” (Rev 11:5) This suggest to me that people will actively be trying to kill them. Why will there be such hatred towards them? Well, at the 6th seal, mankind will have been introduced to that fact that the time for God’s wrath has come. While some repent, many will openly rebel and hate God. As God’s wrath rains down through the effects of the seals and the trumpet judgments, people get angrier and angrier at Him. The compounding factor is that with the removal of the church and the Holy Spirit’s restraining force at the rapture, satan will have been freed to introduce his deception. God’s deluding influence upon those who rejected Him will cause them to believe satan’s lies, despite the truth boldly proclaimed by the two witnesses. Though humanity will have a knowledge of the truth, they will choose to believe the lie. Then suddenly, this “Beast” (at this point just a major world leader, influenced by satan) is killed by a “mortal head wound”, not sure by whom – maybe even by the two witnesses in defense? That would surely strengthen what happens next. When the two witnesses have finished their appointed time of preaching, “the beast that comes up out of the abyss will make war with them, and overcome them and kill them.” (Rev 11:7). This language of coming out of the abyss is highly indicative of the antichrist’s resurrection, which is referred to a few times in the book of Revelation in different ways (a mortal wound that was healed; the beast that was, and is not, and is about to rise from the bottomless pit; 8th king that is of the 7). It seems that near the midpoint of the 7 year period, the person who is the antichrist will be killed and miraculously raised from the dead. It is at this point that the beast is possessed of satan and sets up the abomination of desolation on the sacrificial altar in the Temple, declaring himself to be “god”. I personally believe his first action will be to kill the 2 witnesses, who were thought to be immortal. The people marvel at this turn of events, rejoice, and pledge allegiance to the beast – who is like him and who can fight against him? (Rev 13:4) The beast may possibly kill the 144,000 sealed Hebrews as well at this time. These events are all connected and I think likely happen all on the same day – the transfer of authority from the 2 witnesses passes seamlessly onto the Beast as the second half of Daniel’s 70th week begins – the GREAT TRIBULATION. The deceased bodies of the two witnesses will lie in the streets for 3.5 days and people will celebrate their death. At the end of these 3.5 days, the 2 witnesses will be resurrected and called up into heaven. John MacArthur, in his book “Because the Time is Near” quotes Luke 16:31 here –“If [unbelievers] do not listen to Moses and the Prophets, they will not be persuaded even if someone rises from the dead”. An appropriate connection, and incidentally would strengthen the Moses-Elijah candidacy. The two witnesses are given miraculous power to do signs and wonders, similar to Old Testament prophets. We are told that they are given a ministry of 1260 days. In a different chapter, we find out that the antichrist is also given a reign of 1260 days. God is the one granting the authority in both cases. It is highly likely that their authorities do NOT overlap, but are consecutive. I personally see Elijah and Moses as the most likely identification of the two witnesses. These two represent the “Law and the Prophets”, and as such are perfect candidates to call Israel to repentance during the time of her trouble. A foreshadowing to this may have been seen on the Mount of Transfiguration, as both Moses and Elijah were witnesses to Jesus in His future glory. God may resurrect these back to true physical life, so they can literally be killed 1260 days into their ministry. The nature of the 2 Witnesses’ ministry requires them to be able to boldly proclaim (and thus understand) the Kingdom of God. •	On ONE occasion, the two are specifically NAMED as Moses and Elijah. If Moses and Elijah were EYE WITNESSES to these events in Jesus’ life, then their testimony to Israel/Jerusalem during the Tribulation, will be absolutely compelling. Will this be why and when Israel recognizes ‘Him who they pierced’ and cry out, “Blessed is He Who comes in the name of YHVH!”? Perhaps the testimony of Moses and Elijah will alos be used at the Great White Throne when the 33AD Temple leadership is called to account… for Jesus told them that it would be MOSES who accuses them. •	John 5:31 “If I testify about myself, my testimony is not true. •	John 5:32-35 There is another who testifies in my favor, and I know that his testimony about me is true. You have sent to John and he has testified to the truth. Not that I accept human testimony; but I mention it that you may be saved. John was a lamp that burned and gave light, and you chose for a time to enjoy his light. •	John 5:36 “I have testimony weightier than that of John. For the works that the Father has given me to finish—the very works that I am doing—testify that the Father has sent me. •	John 5:37-38 And the Father who sent me has himself testified concerning me. You have never heard his voice nor seen his form, 38 nor does his word dwell in you, for you do not believe the one he sent. •	John 5:39-40 You study the Scriptures diligently because you think that in them you have eternal life. These are the very Scriptures that testify about me, yet you refuse to come to me to have life. •	Mark 9:2-13 “After six days Jesus took Peter, James and John with him and led them up a high mountain, where they were all alone. There he was transfigured before them. His clothes became dazzling white, whiter than anyone in the world could bleach them. And there appeared before them Elijah and Moses, who were talking with Jesus. •	Luke 9:28-36 “About eight days after Jesus said this, he took Peter, John and James with him and went up onto a mountain to pray. As he was praying, the appearance of his face changed, and his clothes became as bright as a flash of lightning. Two men, Moses and Elijah, appeared in glorious splendor, talking with Jesus. 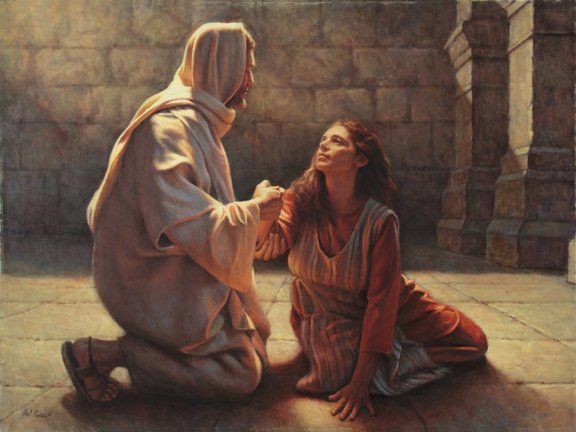 •	John 20:1-2,12 “Now on the first day of the week Mary Magdalene came early to the tomb, while it was still dark, and saw the stone already taken away from the tomb. And so she ran and came to Simon Peter, and to the other disciple whom Jesus loved, and said to them, “They have taken away the Lord out of the tomb, and we do not know where they have laid Him… and she beheld two angels (aka ‘messengers’) in white sitting, one at the head, and one at the feet, where the body of Jesus had been lying. •	Revelation 11:3, 7-8 “And I will give power to my two witnesses, and they will prophesy one thousand two hundred and sixty days, clothed in sackcloth… When they finish their testimony, the beast that ascends out of the bottomless pit will make war against them, overcome them, and kill them. And their dead bodies will lie in the street of the great city which spiritually is called Sodom and Egypt, where also our Lord was crucified.